I read a lot of books this year, adult and children’s books, fiction and non-fiction, memorable books and others I’d rather forget (Fifty Shades of Grey, anyone?). It was hard to narrow it down to a few favorite and of course, my choices are very subjective and personal. These are books that grabbed my attention from the first few pages, made me laugh or cry or both, made me think, or made me dream by taking me to faraway places. These are all great books in one way or another. This series includes The Giver, Gathering Blue, Messenger and Son. I’ll be reviewing the last three books later this week, and in the meantime, you can read my review of The Giver here. Wonderful, wonderful futuristic stories, full of shocking discoveries, adventure, courage, survival and hope. Lois Lowry is a brilliant storyteller and I love the worlds she created. These books are great for young adults (probably age 12 and up), as well as adults, and you can read them again and again and enjoy them just as much. I think that next Christmas, I’ll be asking Santa for these four books so they become part of my personal book collection. This is another young adult book that is perfect for adults too. This is the only book I’ve ever read on World War II that was told from a German citizen’s perspective. This book really touched me in many ways and will stay with me forever. Just like The Giver quartet, I think it deserves its own spot on my bookshelf. You can read my review of The Book Thief here. I also read Catching Fire and Mockinjay but The Hunger Games was my favorite. I found the novels very dark and gruesome, but well told. Suzanne Collins is not as hopeful about the human race as Lois Lowry but she might be more realistic. Who knows what’s in our future, right? Read my review of The Hunger Games. By the way, I do have The Hunger Games trilogy on my bookcase already. Alright, technically I finished reading A Dog’s Purpose last December, but since I read the next book in 2012, I’m including both on this list. I loved these books and I’m not even a dog person. I laughed, I cried, and I laughed and I cried some more. If you’re looking for a feel good story, these two books are perfect. Read my reviews of A Dog’s Purpose and A Dog’s Journey. Yet another book that deserves a permanent spot on my bookshelf. I have never read such an imaginative book when it comes to the way the story is told. Zelznick tells Hugo’s story by alternating between words and pencil illustrations. Unlike picture books, these detailed illustrations tell a specific part of the story instead of using words, giving a full meaning to the phrase “a picture is worth a thousand words”. Selznick is a pure genius at illustrating and storytelling. Read my review of The Invention of Hugo Cabret. If you’re an introvert, you’ll want to read this book. If you’re an extravert, you’ll want to read it too so you give us introverts a break and realize we’re not a bunch of anti-social people. ;-) Read my review of Quiet: The Power of Introverts here. If you want to learn more about PTSD (post-trauma syndrome disorder) specifically in U.S. soldiers, this story is it. Told in the first person, it explains the various symptoms, the possible treatments (and how our soldiers are taken care of, for better or worse) and how Tuesday, the golden retriever who was about to fail his training as a service dog, helped Montalvan when he himself was on the verge of giving up. The 5 stars by almost 1000 reviewers on Amazon say it all: this is a must read (read my review of Until Tuesday). And yes, this is the REAL Tuesday on the book cover. Miller has been a 6th-grade teacher for about 20 years and has discovered, implemented and refined ways to ignite the love of reading in her students. This book is not just a great tool for teachers but for parents too. Read my review of The Book Whisperer. Well, don’t you know? There’s no such thing as a gruffalo. Or, is there? These brilliantly rhyming books are meant to become children’s book classics. Read my reviews of The Gruffalo and The Gruffalo’s Child. I loved, loved, loved this book (and damn it, it made my choke up!). This is a beautiful story of loneliness and friendship children and adults will love and cherish. Read my review of Pete & Pickles. Berkeley Breathed may be known for his comic strip Opus, but The Last Basselope is a wonderful story about searching for the unknown, finding it, discovering its priceless value and keeping it safe from the rest of the world. Read my review of The Last Basselope. This has to be one of the funniest children’s books we’ve read this year. When Oliver’s kite gets stuck in a tree, he throws everything up there, including the kitchen’s sink. My kids and I loved the silliness of this book and we laughed about it for weeks. Read my review of Stuck. “I’m going to eat you for my dinner” says the big wolf to the big moose. But that’s before he realizes that Mucky Moose really, really stinks. My four-year old couldn’t get enough of this story and months later, my kids still quote the book. Read my review of Mucky Moose. This series gave my eldest his first taste of independent reading of chapter books before he reached the end of kindergarten. He’s since graduated to much longer and intense books but I’ll never forget that this series of books gave him the motivation to read on his own (I wasn’t allowed to read him the books so I read them with his brother). Read my review of Ricky Ricotta’s Mighty Robot here. Muth’s watercolors are simply beautiful and his stories teach children about the principles of Zen Buddhism in a very simple way. Stillwater the giant panda is a wonderful teacher. Read my review of Zen Ties. Rotten Ralph is everything you don’t want your kids to be and so, kids love him! Rotten Ralph is a really rotten cat and you wonder if he’ll ever show kindness and consideration for others. Deep underneath that rotten attitude, Rotten Ralph may actually have a heart and a conscience. This is a very funny series that will make you laugh out loud. Read my reviews of several Rotten Ralph books here. What books have you read this year that turned out to be your favorite? Anything I should put on my to-read list for 2013? Until Tuesday: A Wounded Warrior and the Golden Retriever Who Saved Him by Luis Carlos Montalvan and Bret Witter. I’m about a third into it and have learned how Tuesday was trained to be a service dog from Day 3 of his life. I’m now learning about Montalvan’s time in the Army and his service in Iraq. He sure doesn’t have many nice things to say about military generals and the politics behind this war in general. Quite an interesting, first-hand perspective. And yes, that’s the real Tuesday on the book’s front cover. Doesn’t he look like the coolest dog? Mermaids in the Basement by Michael Lee West. After reading the hilarious and delightful Gone With a Handsomer Man, this book was a little disappointing. The main character is supposed to dig up some unknown information about her family’s past but by the end, nothing discovered was that earth-chattering. This is still an entertaining read, but not West’s best. 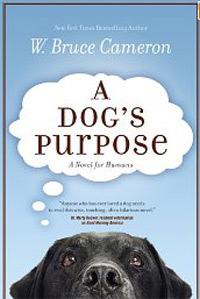 A Dog’s Journey by W. Bruce Cameron, the sequel to his bestseller A Dog’s Purpose. I loved the first book so much, I can’t wait to read this one! – Wow! Ocean! by Robert Neubecker. 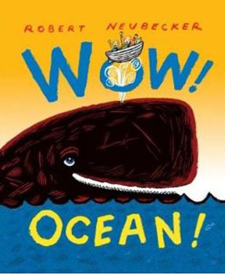 The latest release in Neubecker’s Wow! series is EXCELLENT! This time Lizzy and her little sister go around the world’s oceans, where they meet lots of underwater sea creatures (all are labeled so you get to see different types of whales, turtles, seashells, etc). We love it and I think this is the best one in the series. – Secret Agent Splat! by Robert Scotton. Scotton’s newest Splat adventure features a search for disappearing wooden ducks. I love Rob Scotton’s sense of humor and my kids can’t get enough of this story. 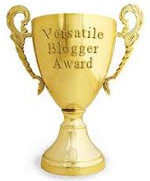 – Mr Putter & Tabby Spill the Beans by Cynthia Rylant. We’re re-reading the Mr Putter & Tabby books since they’re one of our favorite series. In this one, Mr. Putter and his cat Tabby attend a cooking class with Mrs. Teaberry and her dog Zeke to learn 100 ways to cook beans. It doesn’t take long for the beans to spill! I love Rylant’s writing style and the hilarious illustrations always are a perfect match. – That Pesky Rat by Lauren Child (famous for her Charlie & Lola books and TV series). A brown street rat longs to be someone’s pet and have his very own name, so he asks the pet shop owner to let him post a for-sale sign. Lucky for him, an old man with extremely poor eyesight is interested in buying this “cat” (it sure read like cat on the sign!). – Goldie and the Three Hares by Margie Palatini. As Goldilocks runs away from the three bears, she falls down a rabbit hole and hurts her foot. The family of hares tries to help her but Goldie happens to be quite a demanding, borderline obnoxious, guest they can’t wait to get rid of. – Spot It! and Spot It Again! by Delphine Chedru. In both books created by a French illustrator, kids have to find the animals hidden in colorful patterns. Both my kids love these books, even though you’d think they’re too old for them. I think it’s because everything is very well hidden, small, and hard to find. We have so many books from the library to still read, I’m sure we’ve got lots of good reading ahead of us. What about you? Any books you or your kids are reading you’d like to share? You may have noticed I didn’t post a WWW Wednesdays update yesterday. I simply ran out of time. It was my mom’s last vacation day with us and I couldn’t find enough time in front of the computer to write up my weekly update. I did want to share with you a wonderful book I just finished a few days ago called Between Shades of Gray by Ruta Sepetys. What an amazing book to learn about this less often told part of history, i.e. Stalin’s own ethnic cleansing of large parts of Eastern Europe that killed 20 million people (he sure got bragging rights over Hitler in the genocide category). Sepetys based her book on her own family’s experiences as well as testimonies from many Lithuanian families. This gives her story a very real feeling when you understand this type of events really happened to millions of uprooted families sent to Siberian forced labor camps. This is a poignant, personal first novel I highly recommend. Now, instead of doing my weekly WWW Wednesdays update, I thought I’d make a list of our favorite books we read in 2011 and I encourage you to read them too. A Dog’s Purpose by W. Bruce Cameron. By far the best book I’ve read this year. It made me laugh, it made me cry and made me enjoy a story about dogs when I’m a cat person. Great storytelling. The Lying Game by Sara Shepard. Such a great premise and angle for this murder mystery book. I couldn’t put it down and went on to read book #2 in the series, Never Have I Ever. Read it, you won’t regret it. Room by Emma Donoghue. The first third of this book (the captivity part) kept me on the edge. The rest of it sucked me right in and surprised me several times on the way. This is a wonderful book on a very painful subject. The Gruffalo and The Gruffalo’s Child by Julia Donaldson. Rhyming stories of a tiny mouse outsmarting a terrifying larger than life gruffalo. The Mr Putter & Tabby book series by Cynthia Rylant. These are wonderful, funny, kind and sweet stories about Mr Putter, his cat Tabby, his neighbor Mrs Teaberry and her dog Zeke. Our very favorite are Mr Putter & Tabby Paint the Porch, Mr Putter & Tabby Pick the Pears (zing!) and Mr Putter & Tabby Feed the Fish (bat bat bat…). There Are Cats in This Book and its sequel There Are No Cats in This Book by Viviane Schwarz. These are interactive, hilarious books to read over and over with the kids, even if you’re not a cat person. Kids love to memorize all the lines and read the story on their own, laughing out loud. 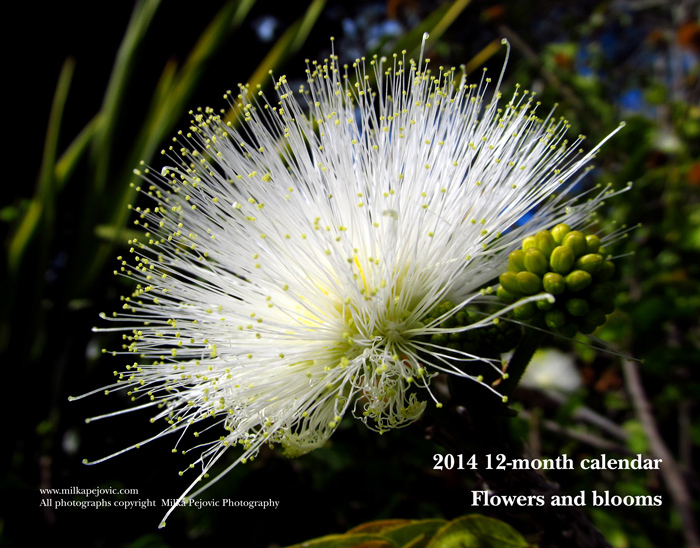 What are your favorite book picks for 2011? Today is WWW Wednesdays and I’m so glad to be able to share some wonderful reading I’ve been doing this past week. Tonight I’ll be starting “Divine Secrets of the Ya-Ya Sisterhood” by Rebecca Wells. I expect some great reading to happen over the next few days. “Bossypants” by Tina Fey. Interesting biography, with Fey sharing her insights on the prevalent sexism in the world of comedy, her career worries, her struggles as a working mother, her difficulties with breastfeeding. A fun book for light summer reading. Expect some giggles and laughs at almost every page. My advice: borrow it but don’t buy it. Today I finished “A Dog’s Purpose” by W. Bruce Cameron. I read this book in a couple of days. I just couldn’t put it down. Didn’t want to. This has to be the BEST book I’ve read so far this year (5 stars on Amazon with over 500 reviews on Amazon say it all). And I’m a cat person, never been a dog person. But as a pet lover, I so relate to the relationships the dog(s) in this story has with his multiple owners. And it makes me feel so much better for the times I’ve had to say goodbye to my pets, imagining what they could have been thinking at that last moment. I smiled and I cried as I went through the pages, then smiled and cried some more. After being reincarnated for the first time, our storytelling dog wonders if there’s a reason for his comeback on earth. We follow him along to find out. I just can’t tell more about the story itself without spoiling it. I wanted to know this dog’s purpose and I’m so glad I found out (even though I never saw the ending coming). Read this book. You’ll be so glad you did. I’m not sure because the library is very slow at getting me the books I ordered, so I may have to pick one from my own bookshelf (I have a few candidates). I just got the “Complete Tales of Madeline” by Ludwig Bemelmans from the library. We read them last year and are doing so again this summer. My boys can’t seem to get enough of the predicaments Madeline happens to encounter. I also borrowed a few books from the “Magic School Bus” series. My kids like reading them but I can’t stand how much information is crammed on every page, in a messy layout. What happened to spreading the data over a few more pages, or using larger sheets? I know printed books are expensive but an attractive layout still makes for enjoyable reading. Especially when I’m the one reading the books! “Rapunzel” by Sarah Gibbs. After watching Disney’s Tangled, I thought it’d be a good idea to read something closer to the original Brothers Grimm’s story. This book has beautiful illustrations to go with the text and my oldest seemed to enjoy it the several times we read it. 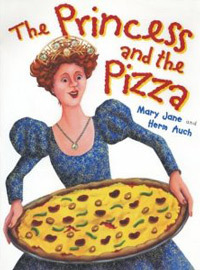 “The Princess and the Pizza” by Mary Jane and Herm Auch. This is a funny twist on the common princess tales and quite an entertaining read. You may even learn how pizza was invented (just kidding!). I got one of the “Junie B. Jones” series books. I’ll let you know if we like it. What about you? Any books you or your kids are reading you’d like to share?